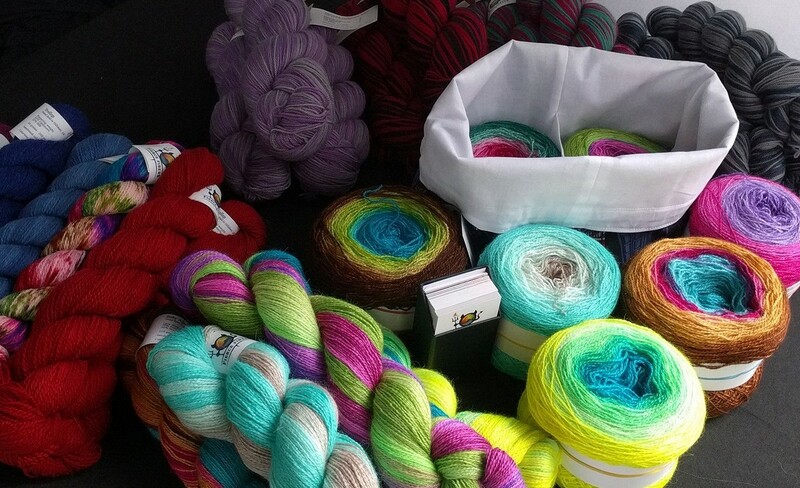 Meet Stacey Serafin of Fierce Fibers (formerly known as Thoroughly Thwacked). Her gradient yarns will be featured in our upcoming Summer 2018 Ficstitches Yarns Crochet Kit Club. Preorders are open this month only. 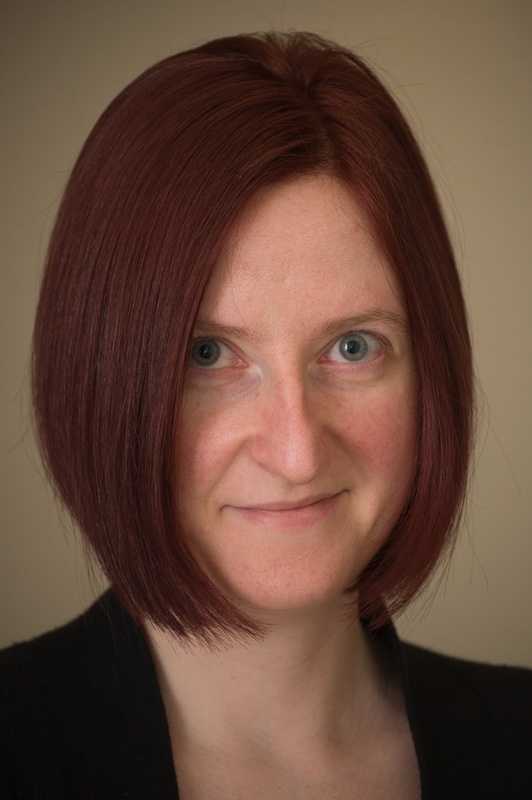 I first met Stacey last year at CGFF, although I had heard about her yarns. As I was walking around crocheting a shawl with a project bag hanging from my wrist (as you do), I was excited to find her booth and discover that she was a crocheter! 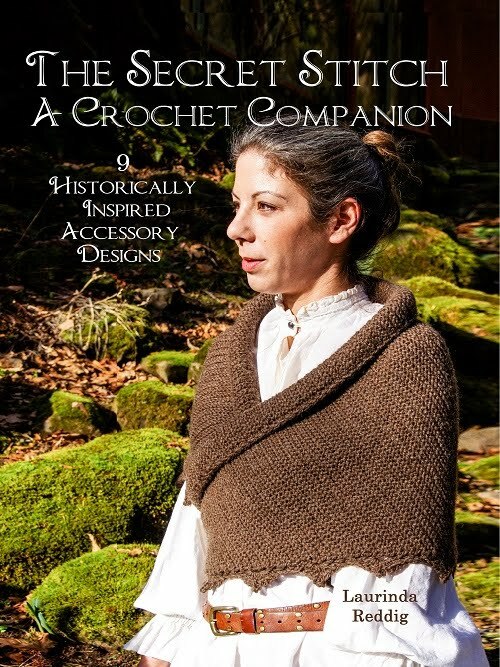 She was crocheting a shawl at the time, though she knits as well, of course. We ran into her again during the Rose City Yarn Crawl last March, and chose some yarn to play with for a future Ficstitches Yarns Crochet Kit Club. But that Kit won't be coming until early 2018, so I was really excited when we came up with the a Shawl Kit to do together this year. 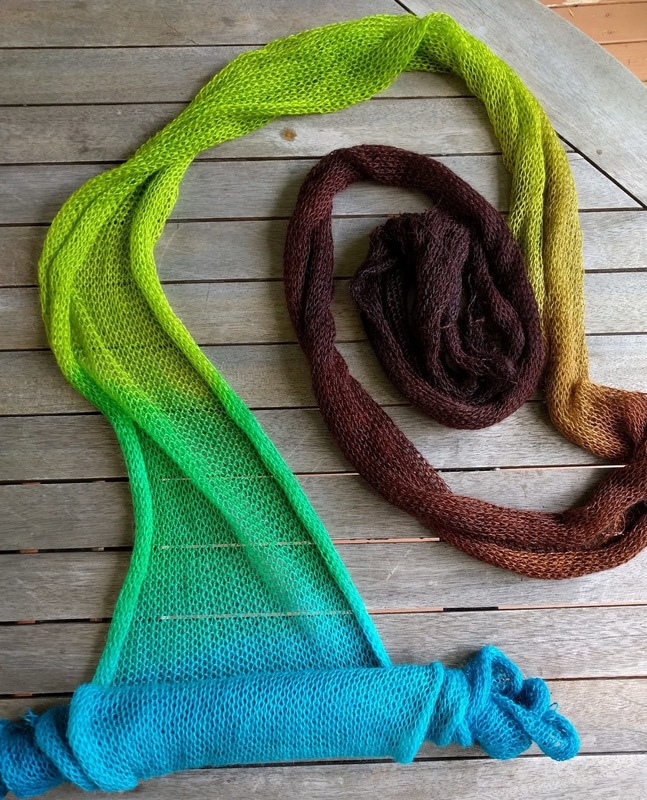 · How long have you been dyeing yarn? 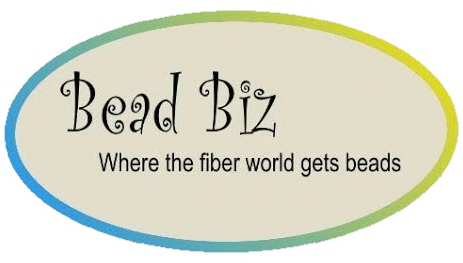 Since 2013, after learning how to knit in 2011 & learning how to spin fiber into yarn in 2012. · How did you get started dyeing? I got started when a friend of mine who owned a yarn shop was looking for something specific and couldn't find it. We ended up developing a gradient kit for customers and the reception was quite good. I enjoyed collaborating and working with people who were creative and it was great to see people make the kit we made and make it their own. · What is your background? Received a B.S. in Physics and B.S. in Mathematics from the State University of New York at Buffalo. Then received a Masters in Nanotechnology in 2005 from the University of Delft in The Netherlands. · Do you have any special experience with art or science that influences your dyeing? There is a certain aspect that appeals to someone with a scientific background such as repeatability, planning and experimentation, not to mention all the chemistry behind it. 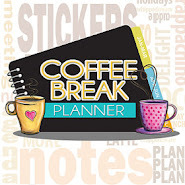 I've always been a big planner and with my scientific background experimentation and chemistry are big with me. There are parts of dyeing though that I would say are attractive to me for the very reason, that they are the opposite of what I know and am comfortable with. For example, there is also a big part of dyeing that is creativity. Not that I'm not creative but the study and appeal of color and certain color combinations is something that fascinates me. What makes us creative? What makes us like one color combination and hate another? Dyeing is a combination of all these factors. I guess one of my best experiences is keeping my own curiosity from when I was a child! 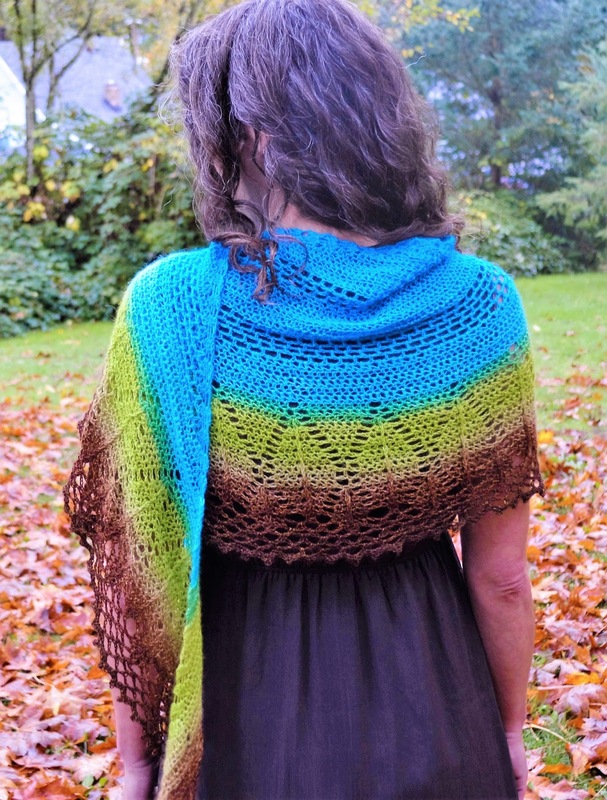 to become Laurinda's newest shawl pattern, Decadent Bliss. · What makes your yarn special or unique? I would like to think what makes my yarn special is me! When I started dyeing my brain was riddled with ways to modify the process and try and squeeze more and more color into things. Yarn is my medium of expressing myself and always trying to push the boundaries and give people something different to work with. 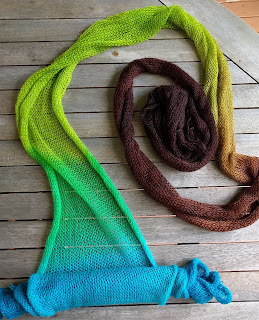 For example, early on I learned about pooling and how the dye process can influence it. So I made up a way to make skeins that didn't pool. I also exploit pooling in a few of my colorways. I've tried to come up with ways to use the “difficult” colors to the best of my ability. I've talked to my distributors and tried to understand more about my supply chain. I'm always talking to customers and finding out what they like as well. What makes my yarns special is me. My selection of the best bases I can find, combined with the best techniques, while being sensitive to the supply chain and aware of what my customers want. Obviously this makes for a high quality product that is packed with color. · What is something interesting about your dyeing process that non-dyers might not know? I don't just use any single dye technique out there. In many of my yarns I use multiple techniques because each technique has both good and bad things about it. I have spent a lot of time working with different fibers to try and understand how each of them behave in the dye pot...because no one likes felted yarn or fiber! Another thing that people may not know is that my cake gradients are all made by me. Cake gradients first need to be knitted up into what they call a blank which is basically a piece of fabric. They then need to be dyed, frogged (ripped out) and balled up. As you can imagine, this is all labor intensive. Unlike other dyers I do not buy my blanks, I make them myself because I want to be able to give my customers gradients in yarns they don't see anywhere else. 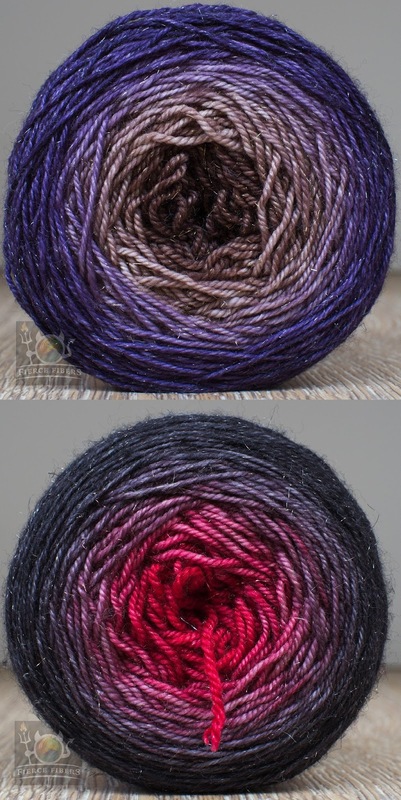 · How do you choose your colors and name your yarns? Experimentation is probably the biggest way I choose my colors at the moment, although I'm currently trying to expand my knowledge on color and doing more and more exercises on color planning and color studies. My yarn names mostly come from how I feel when I hold the yarn. My colorway names come from every day conversations that I have with people and I hear catch phrases that I think, “that would be a great colorway name” so I write it down and really think about what that would look like. Also, sometimes a color comes out of the pot and it just looks like something so I go with that. get the kinks out of a dyed blank. 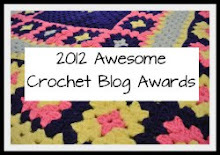 A must for crocheting with it! · How many colorways do you have? In the 3 years I've been dyeing I've probably made over 200 colorways. Currently I have about 20 solid colorways I regularly sell. · Do you create seasonal or special order colors? Yes, but usually in a strange and quarky way. For example for Valentine's Day this year I made Dragon's Breath. It's a deep red tone for all those people who like to enjoy garlic ladened meals on Valentine's. · How many and what types of bases do you use? At the moment I have 18 bases but I am reducing that number drastically. I will be sticking to bases that are more luxurious since that is what I prefer to work with. I prefer to work with cashmere and silk blends along with a baby alpaca laceweight. · Where do your yarn bases come from? All over the world. 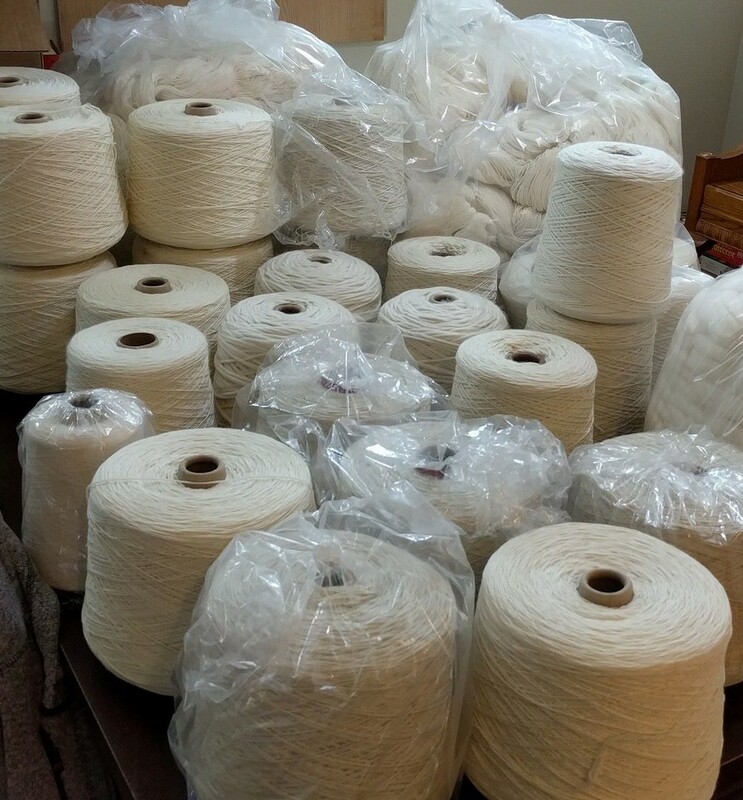 · Where can we find your yarn? LYSs and online? My yarns and fiber can be found currently at Pearl Fiber Arts in Portland, OR as well as online at www.fiercefibers.com. A small selection is also available at Embraceable Ewe in Hamburg, NY as well as Quilt n' Things Fiber Arts in Montrose, CA. Also, please check out my events section on my webpage to see me in person at future festivals. 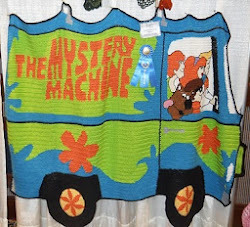 whether she knits it into blanks on a knitting machine or puts it into hanks. · Favorite fibers? Animal fibers are definitely my loves. 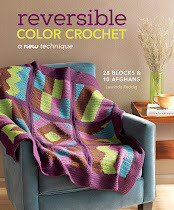 · Do you crochet, knit, or spin? What came first? I learned to crochet when I was very young. My mom had a crochet blanket that we would work on when we would sit on the couch and watch Dynasty together. I did all sorts of crafty things when I was younger, macrame, boondoggle, beading, friendship bracelets, cross stitch. It all fell away as I became a teenager and went to college. 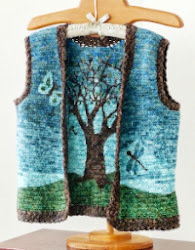 After my second son was born I really wanted to learn how to knit so I could make something with my hands. I took one class and I was off. I made some fibery friends and learned how to spin a few years after that. I will also confess to having rescued an antique rug loom that my step-father is currently refurbishing for me. · Anything else you would like to share? Pie. Do you have any pie? I like pie! 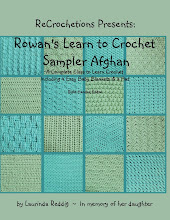 Choose Staycation or Scorch for the Summer Ficstitches Yarns Kit Club! 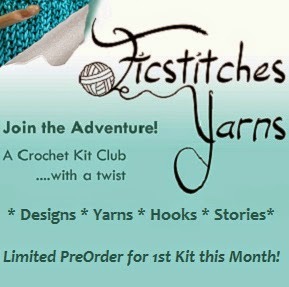 PreOrder Your Kit Club Today!